Having turned 85 years old this year, Madam Choy has a collection of Cantonese recipes which she has kept from newspapers and magazines over the last fifty years—all of them fondly adapted to her own style. Born in a well-to-do family in Seremban, she didn’t really have a chance to cook until she was married at 16 and came to Singapore. Her love for cooking grew only in 1957, when she moved to a bigger house with a large kitchen of her own. As someone who has a discerning tongue, Madam Choy often taught her children the language of food tasting. Texture and fragrance were as important as food to taste. Noodles should be darn ngah “spring off the teeth”. Fried dishes must have wok hei (“breath of the wok”). More such Cantonese terms can be found in the book. To Madam Choy, cooking is more art than science; nothing is measured and every ingredient is added by instinct. After fifty years of tasting and trying, she has more than ninety recipes ready to share. Some of the Cantonese recipes in the book range from the higher-end ones such as Abalones in Oyster Sauce, Bird’s Nest Chicken Soup, and Cordyceps soup, to simpler ones such as Bitter Gourd Omelette, Potato Cakes, and Salt Baked Chicken. 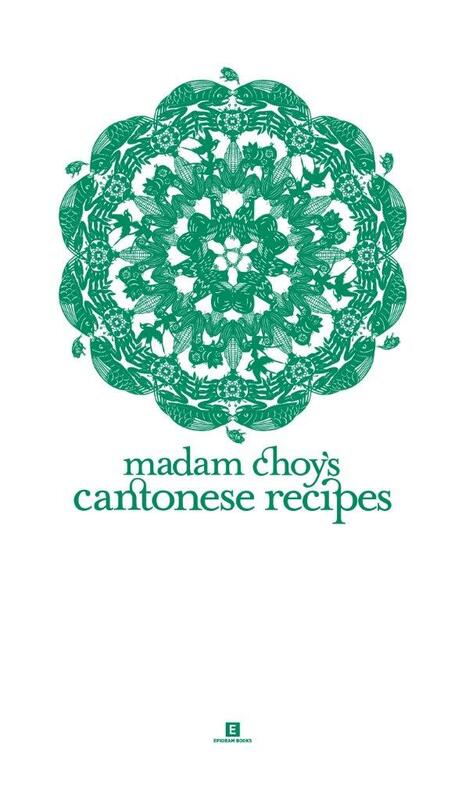 This book of Cantonese recipes is compiled with the help of Madam Choy’s daughter, Lulin Reutens. This third revised edition has been updated with the addition of seven new mouth-watering recipes, including Eight Treasures Beancurd and Braised Pork Belly in Dark Soya Sauce. Madam Choy’s Cantonese Recipes is part of Epigram Books’ award-winning Heritage Cookbook series, which showcases the best of Singapore’s major cuisines through authentic family recipes.